CREAID is a non-profit organization with a targeted humanitarian mandate, served through creative and artistic initiatives. Its fundamental principle is “Create to Aid,” and it aims to combine creativity through works of art to aid those in need. It is an organization that uses the artistic inspiration and creations of its supporters in order to provide assistance to the local community and raise awareness through those creative and artistic initiatives. CREAID consists of a group of young, dynamic people who aim at the effective relief of weak social groups while promoting creative thinking, imagination, noble competition, and entrepreneurship. The passion to create fuels the need to aid that leads to collective actions of citizens without state interventions. CREAID’s first auction “200 PERSONALITIES HELPING THE DOCTORS OF THE WORLD” was held with great success, on April 1st , 2015 in One Athens building. More than 200 personalities created in their own unique way, over 200 Tote Bags which they offered free of charge in order to support the objectives of The Doctors of The World. 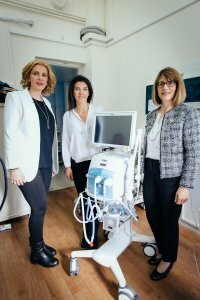 A few months after the successful completion of the auction, a modern medicine unit was delivered to the Doctors of The World, in the One Athens building again , from the President Marina Vernicos and members of CREAID. 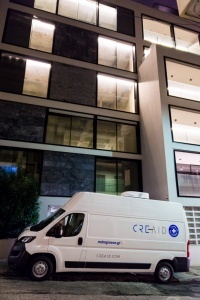 CREAID’s next project is called «Designer Lights». In this new project, we invited renowned Greek and international designers, architects and artists to design their own light fixture (floor, wall, roof or installation). Each artistic creation is a unique piece of art and is produced as a single item for the purposes of the auction of CREAID’s Designer Lights project only. It is worth noting that each creation was a unique piece of art that has been produced only for the objectives of «Designer Lights». 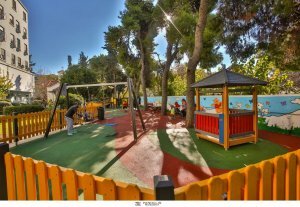 The total proceeds of the auction were allocated towards the creation of a playground for the Athens General Children’s Hospitals. 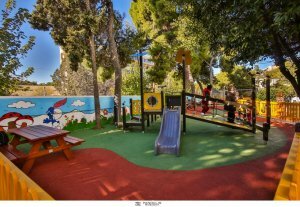 A few months after the successful completion of the auction, a modern playground was delivered to the Athens General Children’s Hospital “Panagiotis and Aglaia Kyriakou“, from the President Marina Vernicos and members of CREAID. CREAID’s third project was called “Designer Jewelry,” in which distinguished Greek and international designers and people in the jewelry business, where asked to design a fine jewelry (necklace, bracelet, earrings, ring, tiara, etc.) with their own unique way. 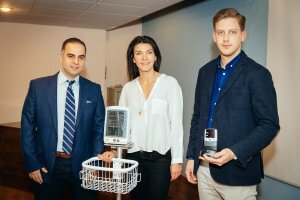 The proceeds of the auction where allocated towards the purchase of medical equipment for the Athens General Children’s Hospital “Panagiotis and Aglaia Kyriakou”. 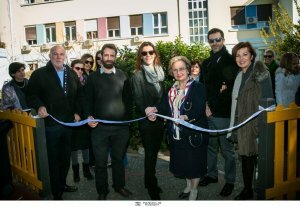 Τhe “Designer Jewelry,“ exhibition and auction was held in the spring of 2017 and were auctioned online for their promotion abroad.